Mark Everton has been serving in the position in interim and brings along 30 years of experience in hotel and hospitality management. Everton also has strong community ties to Oakland and sits on a number of boards in the city. 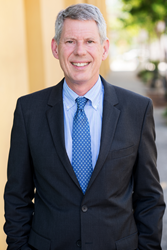 Visit Oakland, the city’s destination marketing organization, along with its board of directors, welcomes Mark Everton as the new President & CEO of the organization. The announcement comes after an extensive search over the past several months conducted by Horizon Hospitality. Everton has been serving as Interim President & CEO of Visit Oakland after the departure of Alison Best. He brings along over 30 years of experience in hotel and hospitality management. Most recently, he served as the Area Managing Director at Commune Hotels & Resorts for their Silicon Valley and San Francisco hotels and the General Manager of the Waterfront Hotel in Jack London Square in Oakland. Mark has managed three of Oakland‘s full service hotels during his tenure in the industry. Everton is an established community leader in Oakland. He is the Chairman of the Board of Directors for the Oakland Chamber of Commerce. He also served on the Visit Oakland Board of Directors, most recently holding the title of CFO. Mark’s involvement with Oakland’s hospitality and business communities is multi-faceted as he also co-founded the Oakland Restaurant Association. Everton officially begins his new role on June 16. Visit Oakland is a non-profit organization marketing Oakland, California as a travel destination. Visit Oakland offers a wide variety of complimentary services and materials for travelers interested in visiting Oakland. For more information, see our website at http://www.visitoakland.org and follow us on social media using @visitoakland and #oaklandloveit.